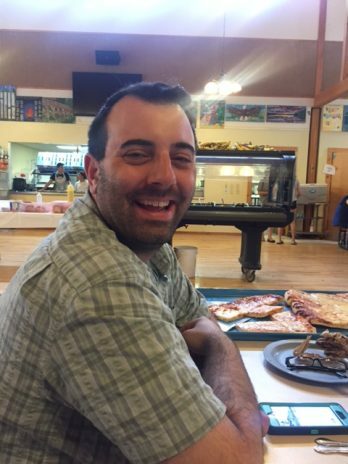 My name is David Joslin, and I am this year’s Judaics Director here at camp. I’m so excited to begin our second session at Camp Interlaken! Cabins Leah and Levi are leading our Kabbalat Shabbat services this week. K’far will be leading our Saturday morning services for Shabbat Matot. This week’s Torah portion deals with the tribal distribution of property within Israel. The tribes of Rueben and Gad request Moses to settle the land east of the Jordan, which was considered excellent pastureland for their herds. Moses, who was initially angered by the idea, eventually agrees to the land concession only if the tribes Rueben and Gad join the Israelites in their impending battle to conquer the lands west of the Jordan. Also, we are continuing our Shabbat Sichot, or discussions, where we explore our Jewish identity. Since this is the opening Shabbat of session one, we will discuss beginnings in Judaism, focusing on such themes as the Shehecheyanu (the blessing accustomed with a new experience or a rare occasion), Rosh Hodesh (the holiday surrounding each new month), and other life cycle/holiday traditions that honor our new beginnings in Judaism. We have also once again begun our B’nai Mitzvah learning sessions. Throughout this session, I will be helping campers who have a pending Bar/Bat Mitzvah with Torah/Haftarah lenying and Shabbat prayer preparation.